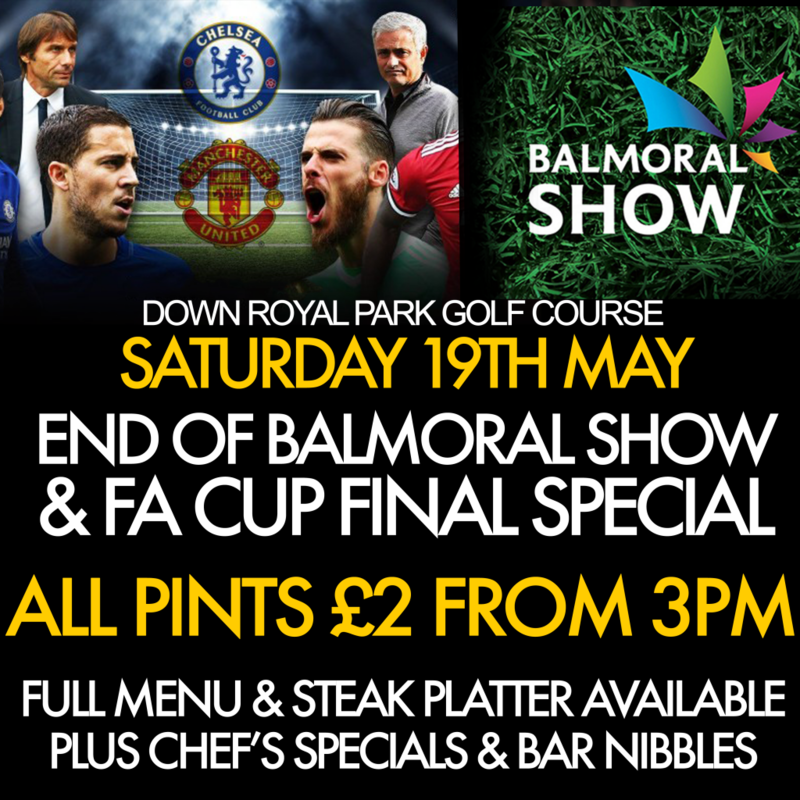 Call in after your visit to Balmoral Show or to watch the FA Cup Final on our screen. We will be serving our full menu all day as well as snacks plus our popular steak deal. To book a table please call us on 028 9262 1339. We look forward to welcoming you.